While we're partial to the delights of our "brick and mortar" store front, we do also have a full-fledged web store with huge potential for book, music and movie discovery, as well as lots of information about City Lights Bookstore and all that goes on around this gathering spot. This site may lack the lovely smells wafting up from City Lights Cafe, but you can still experience the same excellent attention to your book needs and access the many of the same resources and knowledge that our community has come to expect from us. What are some benefits to shopping our web store? We offer free media mail on book orders of $25 or more. If you need the book quickly we offer expedited shipping. In-store pickups, in most cases are free of any shipping charge. If you do not find it on our webstore, contact us and we will help you track down the title. The experience of buying online from City Lights Bookstore is a little different from shopping in the physical store. Here, it’s not so much about browsing through our currated sections, but you can search for and purchase a wide variety of unused books, any time you want, from wherever you are. We’ll also highlight a few of our favorites on a rotating basis so you’ll always have new reading ideas. 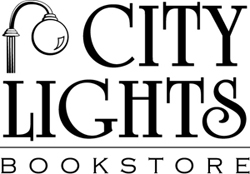 Here are some ways to shop using the City Lights Bookstore website. 1) Search for books using the “Search All Books” box. See that search box in the left sidebar? Type in an author, title, ISBN, or keyword, and a list of possible book matches will pop up. Choose from the list, or refine your search if you don’t get what you were looking for. We also have thousands of Used Books that aren't listed here. Be aware that a status of 'Special Order' could be given for a book that we have on our shelves, or a book that is out of print and possibly scarce. We will always pass on current, verified information as quickly as we can. While ebooks should show up as an alternate format, if you're just interesed in downloading the text, use the search form found lower on the side-bar to zero-in on Kobo ebook options. 2) Explore our Appalachian collection, book club pages, autographed editions, event listings and staff picks to discover new books. You can also browse through our complete catalog by drilling down through the subject headings. Each of these pages will have the option to buy featured books with a few clicks. Look for the Google Preview option available on the detailed page for many titles. Hardcover, paperback, audio or ebook? Here on our website you can not only find almost any book in print in the U.S., you can select Kobo ebooks for download as well. Check out our eBooks Explained page for more specifics. There are several other partners we work with to ensure we provide you with as many format choices as possible. Acoustik hosts our digital audiobook download options, while another supplier offers on-line order options for music CDs and movies on DVD. Please note that unlike the physical books you order through this site, discs ordered from our partner site don't have an in-store pick-up option. Acoustik is a great option for audiobook lovers. These digital audiobooks play on a big variety of devices via a free app, and you'll find a huge selection of competitively priced titles with no montly fees. 4) Choose how to get your books. At checkout you'll be given the option to have your books shipped anywhere in the country, or pick them up in person here in Sylva at your convenience – choose whatever works for you. Remember: $25 worth of books in your shopping cart gets you free media mail delivery. If you need it delivered fast, and the availability isn't coded, "Not in-stock here or at our warehouse", choose one of the expedited shipping options. 5) Select a payment option. If you want your books shipped to you, you can pay online using all major credit cards or PayPal. If you want to pick up your book in the store, you can either pay online, or pay for the book in person when you pick it up. We may ask for pre-payment in some cases, such as books printed "on-demand", and requests for out-of-print titles or author inscriptions. IMPORTANT: for your security, our system is very picky about matching your billing address with your credit card! When entering your billing address, you must make sure that any information other than the street address (apt. number, suite, etc.) is on the SECOND line of the address information, or you may find your card match rejected. Feel free to contact us if you have problems with this step. 6) Look for your confirmation. The book information on our website comes partly from our own in-store inventory records, and partly from our distribution warehouses. The book details and availability status are updated often, but not constantly. For this reason, when you place an order, we recommend that you wait until you receive our confirmation email before assuming that a book is available for pickup or shipping. We will always email you with the status of your order as soon as possible. 7) Give us your feedback. Having trouble navigating the website? Want to see some new features? Email us at more@citylightsnc.com and let us know! With the help of our site hosts at the American Booksellers Association, we'll do our best to answer your questions and take your ideas into consideration. Taxes: Per the North Carolina Dept. of Revenue, we do charge sales tax on shipping fees as well as all items sold in the store or shipped. If you shop online or through catalogues that are based out of state, don't forget to remit your use tax so that our state and local government services aren't hurt further by the wide spread loss of revenue that has followed the explosion of e-commerce. Encourage your federal legislators to pass the e-Fairness law that Congress has been considering.